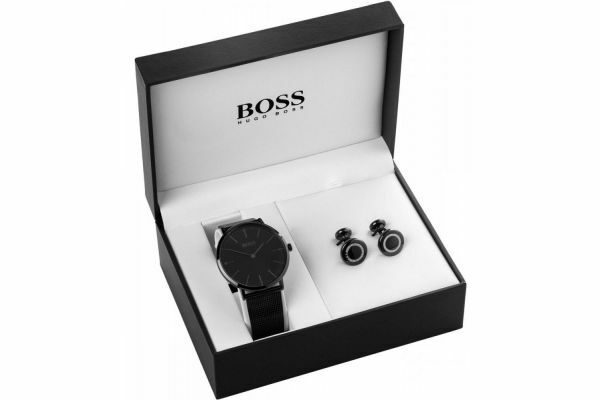 This Hugo Boss gift set comes with a stealth black Quartz watch with a Black ION plated case and bezel. Beneath mineral glass lies the suave black dial complete with black hour markers and two hand movement. Set upon a sophisticated black milanese style mesh strap and fastened by a secure fold over clasp with safety; this sleek watch is ideal for more formal attire. 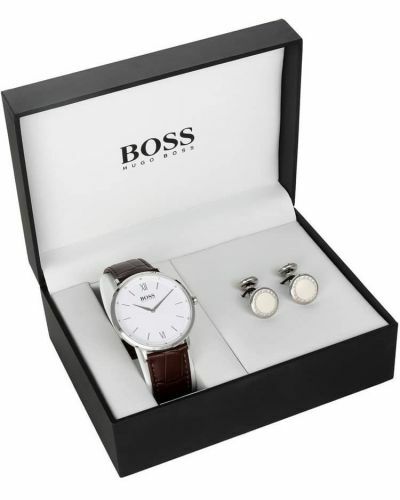 Presented in an official Hugo Boss gift box, this luxurious set is complete with a pair of black Hugo Boss branded cuff-links. 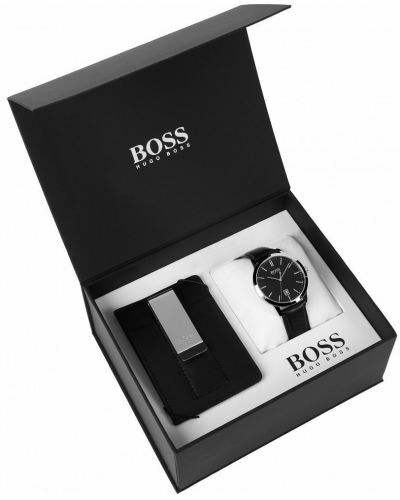 For us to size your new Hugo Boss Gift Set watch as accurately as possible, please take a look at our downloadable Watch Sizing Guide.